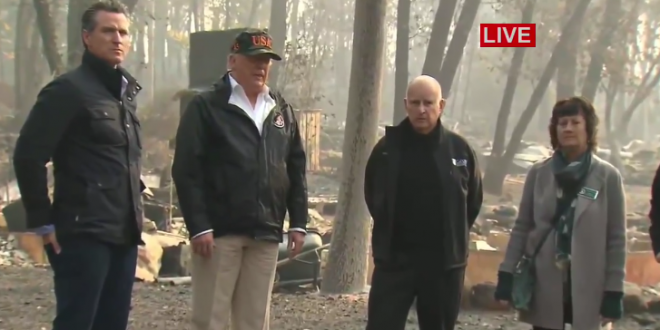 Trump Blames Wildfires On Lack Of Raking [VIDEO] - Joe.My.God. “You gotta take care of the floors. You know the floors of the forest, very important,” Trump told reporters, as Gov. Jerry Brown and Lt. Gov. Gavin Newsom stood nearby. Finland has ~73% forest coverage = 222,180 square kilometers of forests (world bank study). Our forests are densest in the world, averaging 72,000 trees in sq km. That’s 22 billion trees or 4,500 for every Finn (yale university study).